Do you want to learn more about your competitors’ social media activity? Competitive research tools let you see at a glance how your social media marketing compares to similar businesses. In this article, you’ll discover four tools for researching your competition on popular social media platforms. 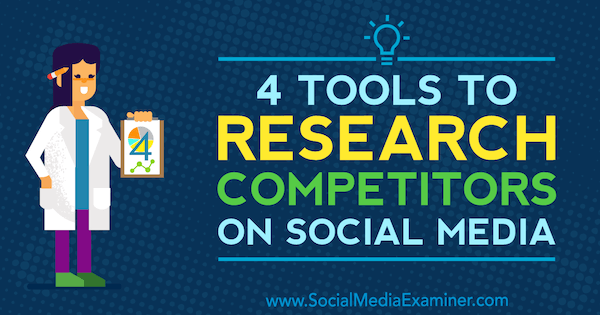 4 Tools to Research Competitors on Social Media by Ana Gotter on Social Media Examiner. Most social analytics and social listening tools have plenty of platform options but they often leave out YouTube. MWP’s video marketing comparison tool is the perfect solution to this problem. With this free, easy-to-use tool, you can see data that compares your YouTube channel to up to 10 other channels. To use it, go to the tool’s home page and enter the URLs of your channel and the channels you want to compare. Note that the URLs must be YouTube channel URLs (not URLs to specific videos). After you enter all of the URLs, click the Compare Now button. 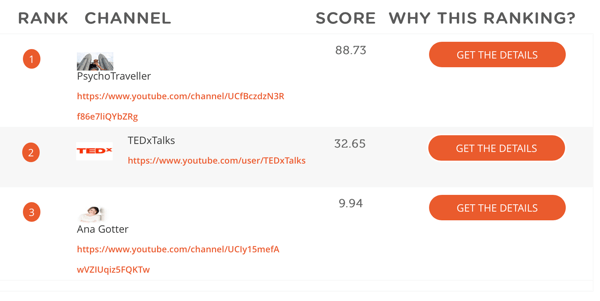 MWP’s tool lets you compare your YouTube channel to up to 10 other channels. Generating the data can take some time, so you’ll see a pop-up window that gives you the option to receive the analysis in an email instead of waiting for it to load in your browser. When you receive the results, you’ll see how the tool ranks your channel against the competing channels you entered. MWP calculates channels’ overall scores by combining metrics like social impact and amount of engagement. Click Get the Details to see metrics for your competitor’s overall performance. 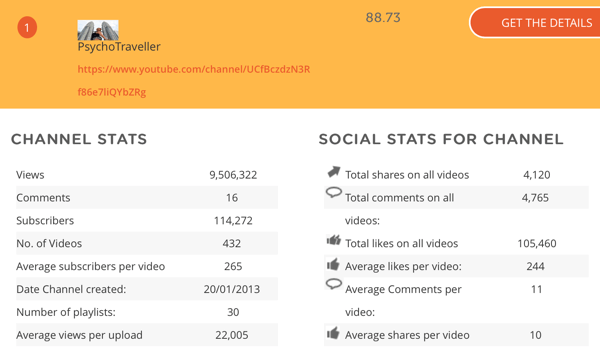 You can also view each channel’s top video and specific video statistics. 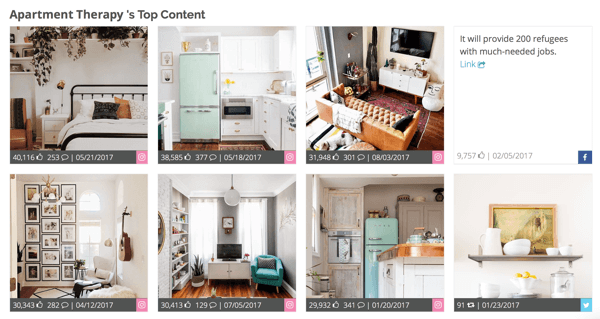 View a competitor’s most popular video and data about that video, including the number of shares on other social platforms. 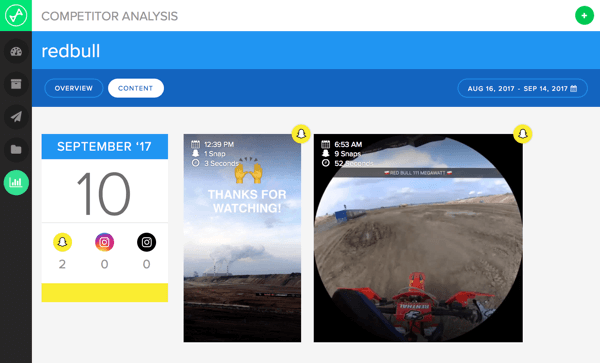 Klear is a fantastic social listening, influencer tracking, and competitor research tool that lets you scope out your competition on Facebook, Twitter, and Instagram. The free version provides limited data and searches compared to the full plan, but you still get useful information. After you sign up for Klear, you’re ready to start researching a competitor’s social profiles. 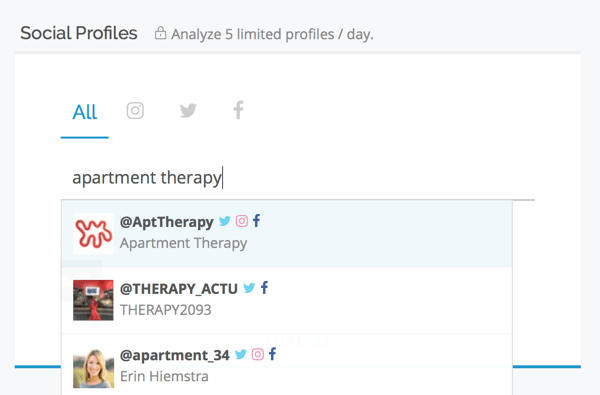 In the Social Profiles section, simply enter the competitor’s name in the search box and use the autocomplete feature to select the competitor you’re researching. Klear lets you search for a brand’s individual profiles or view the impact of all three profiles at once. Being able to see the influencing power of your competitors gives you an idea of what you’re up against. Klear also gives you information in the form of Insights. For example, the Super Active insight means the business posts a lot. The One Trick Pony insight suggests most of their content is similar, like lots of links or images. These to-the-point insights can be extremely beneficial. For instance, to get an edge on a “not responsive” competitor, you could interact with followers more. 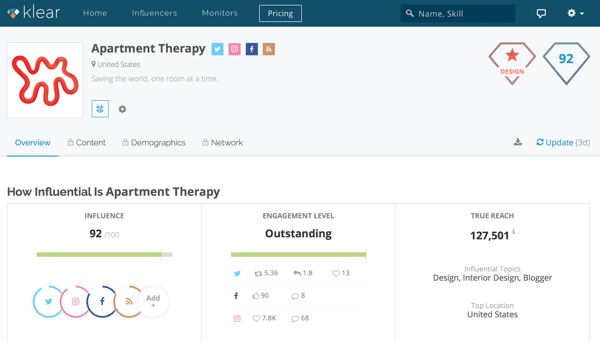 Klear has an Insights section that tells you key information about a brand’s social media posts and engagement. You can view a profile’s top posts to see where those posts appeared, how the brand engages on each post, and when the content was posted. Klear allows you to quickly identify your competitors’ top content across multiple platforms. 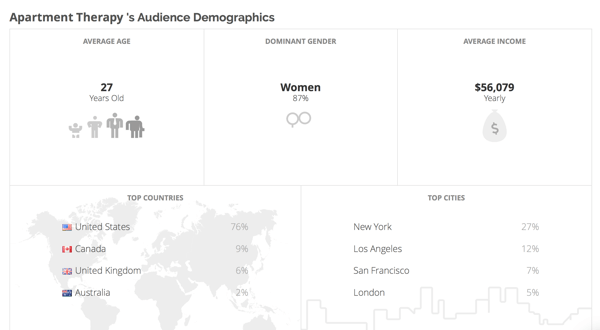 Klear also shows you detailed demographics about a competitor’s audience, which you can use to evaluate how the audience they’re targeting differs from your own. You might be able to identify a niche audience that you’re missing and come up with strategies to reel them in. Klear gives you demographic information about your competitors’ audiences. Facebook’s Pages to Watch feature is a great tool for keeping an eye on your biggest competition over time. You have access to this feature if your Facebook page has at least 100 likes. To find Pages to Watch (assuming your page meets the criterion), go to your Facebook page and click the Insights tab. In the Overview section, scroll down to Pages to Watch. Go to your Facebook page and click the Insights tab. 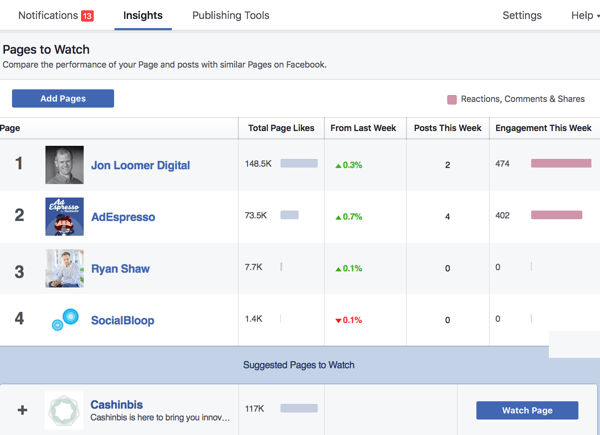 Find your Pages to Watch section on the Overview tab of Facebook Insights. 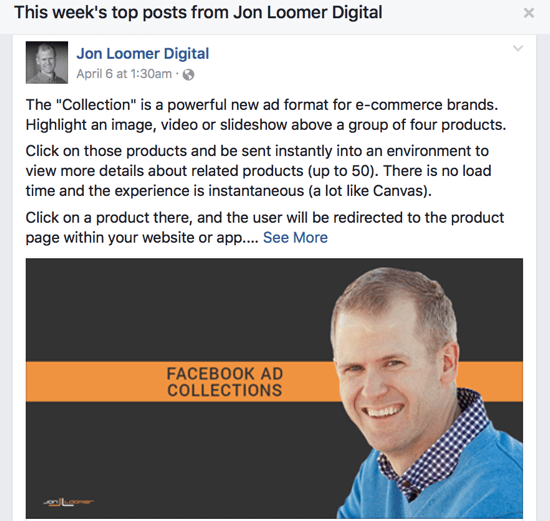 Facebook will recommend pages for you to watch, but you can also add a specific page. To add a page to your watch list, click the Add Pages button. Click Add Pages to add a Facebook page to your watch list. Next, search for the page name, and after you find it, click Watch Page. After you’ve searched for and found a page’s name, click the Watch Page button to add it to your Pages to Watch list. Now you’ll see the page name among the other competitors’ pages you’re already watching. To see a page’s top posts from the week, click the page’s name. You can view what content engaged their audience and how their audience responded. Also, when all of the top posts are shown together, it’s easier to detect what types of content get the best results. To view a competitor’s top posts of the week, just click on their page’s name. 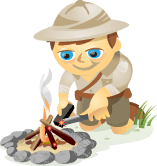 With each post, you can see how the page interacts with people who engage with a post via comments. As you evaluate your competition, look for ways to improve engagement with your own followers. 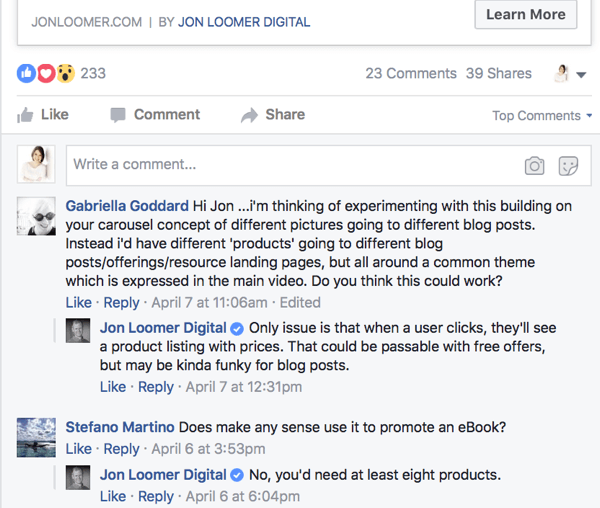 Take a look at the types of comments your competitors’ posts are getting and how they’re responding. 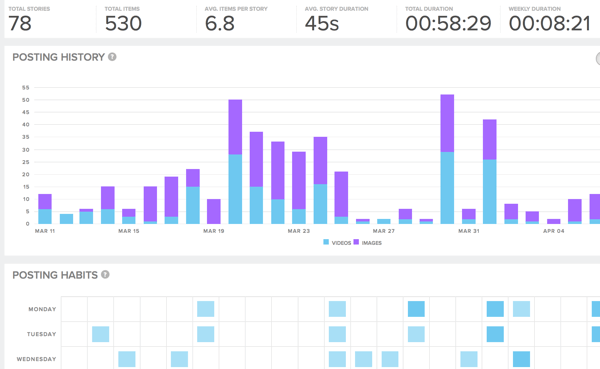 Many marketers find the lack of metrics on Snapchat frustrating, especially when compared to most other sites’ native analytics tools, but Snaplytics fixed this metrics problem. This analytics tool offers amazing insights about your competition. Snaplytics gives you a 14-day free trial and they have an awesome demo on their site you can check out. To get started, sign up and connect your Snapchat account. Link your Snapchat account to Snaplytics. Once you’ve logged in, Snaplytics has an entire section of analytics for competitor research. Click Competitors in the left column, and in the pop-up window, enter the Snapchat username you want to analyze. Add the Snapchat username of the competitor you want to track in Snaplytics. Snaplytics gives you incredibly detailed information about your competitors’ posting habits. Click on an individual competitor to view detailed information about their posting history, including when they’ve posted. If you notice they post most often between 1:00 PM and 3:00 PM and get great results, try posting at those times for your account. Being able to see not only how often your competition posts but also the specific times they post gives valuable insight into peak posting times for your audience. You can also view the date and time when competitors’ individual stories were posted and see what content got the best results. Even though Snapchat deletes content after 24 hours, basic Snaplytics plans store your competitors’ public activity and content for up to three months. Even though Snapchat deletes content after 24 hours, basic Snaplytics plans will store your competitors’ public activity and content for up to three months. Researching your competition’s social media activity will give you insights into the types of engagement they’re getting, the campaigns they’re running, and what is and isn’t working for them. You also might discover tricks to use for your own business and ways to fill your customers’ needs that aren’t being served anywhere else. If you adjust your social media marketing accordingly, you could grow your followers and your customer base. You might even swipe some people away from your competition. What do you think? What tools do you use to research your competition? How has your research helped your social media marketing? Please share your thoughts, knowledge, and experience in the comments.